It’s interesting that there aren’t more YA books based on Greek Mythology, because there is so much there to draw from. The crazy part about The Goddess Test is that I never would have thought to make Hades the love interest of any story because Hades has always been a bad guy in Greek Myth. If you aren’t familiar with the myth of Hades and Persephone and how he abducted her, don’t worry, you get to learn about it in the book. However, Aimée Carter tells us a version of that story that will break your heart…but not for Persephone, as it’s always been. Kate has to be one of the kindest characters I’ve read in a while. She is incredibly unselfish and always puts other people’s welfare and feelings before her own. She is also strong, but at times, she lets things slide for too long or she’s too forgiving before she’s had it and decides to stand up for herself. Henry, our Hades, is in fact “dark, tortured and mesmerizing”. He’s ruled the Underworld an eternity and he isn’t able to do it alone anymore. He’s tried for the last century to find a girl who could rule with him, but they have either not been strong enough or have tragically died before the tests. He’s ready to give up but agrees to one more try. If this doesn’t work out, he will relinquish the Underworld to another God, and he will eventually fade into nothingness. This is where it gets interesting for me. 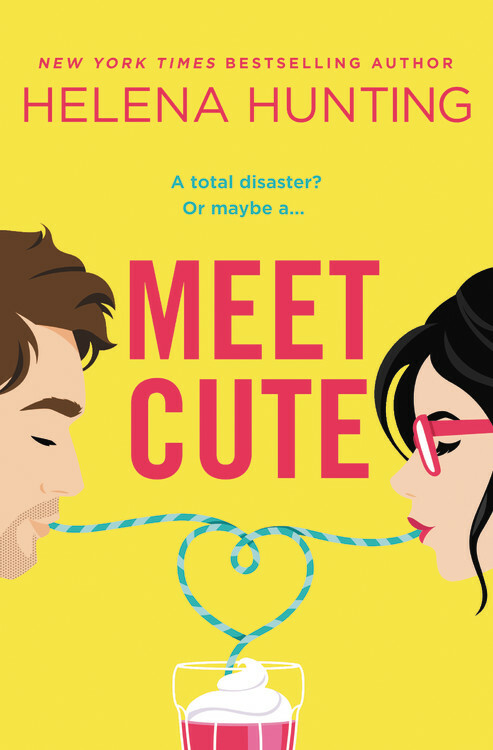 In this story, the guy isn’t trying to woe the girl because he’s fallen in love with her from first sight, and it’s not the other way around either…at first. Henry chooses Kate to be the next potential Goddess because he senses she’s different, and Kate only goes with Henry because he promises to keep her mother alive as long as she remains with him. Once they’re in Henry’s home and they begin to spend time together, they become friends, and Kate begins to fall for him. Unfortunately for Kate, Henry does not seem interested in taking their relationship anywhere beyond the realm of friendship. Trust me though, he has his reasons. I loved and suffered watching this relationship blossom. When they finally got there, I just about squealed I was so happy! I was pleasantly surprised by the way the tests, and the ones who administered these tests were unveiled. I don’t want to give too much away, but I’ll say that what surprised me was the fact that there was only one person working against Kate. For some reason, I thought more people were rooting against her than for her. I enjoyed reading your review. I really enjoyed this book too. Fantastic review; I loved this book so much! We're definitely seeing an increase in greek mythology based YA lit which can only be a good thing in my opinion! Great review! I loved this book as well. I thought it was so interesting that Hades is painted as the sympathetic character. Amazing review. :) I cannot wait to experience The Goddess Test for myself and see just how fantastic it is firsthand. Thank you for the great review! Your review makes me want to charge up my ereader and start reading! I have it from NetGalley, but haven't had a chance to get to it. It's now on top of my TBR pile. Thanks for posting this awesome review! Great review! I saw this book a while ago and I picked it up but then I put it back again because I wasn't sure if I'd like it or not. Thanks, I have heard so many mixed things about this book, but I am a huge Greek mythology fan. Am anxious to read it. I loved Kate in this book! :) I can't wait to see what's going to happen in the next book! A friend gifted this book to me and I was so glad she did! I really enjoyed this book so much! I’ve read all but The Goddess Inheritance. These books are so creative. : ) Great review! Have you read the others?